Together, we will address some difficult questions: What is the advantage or disadvantage of establishing these projects independent of existing nation-states? What is the relevance of distributed ledger technologies? How do the different projects overlap, and how do they differ? Are there any hidden conditionalities within these UBI projects? Is this REALLY a basic income, or is it something else? What IS money, anyway? Join us on Monday January 28th, on 17:00PM at ThoughtWorks, where we will explore these questions together with friends from the OpenUBI community and beyond. Cambrial Capital is running an event on participating in and valuing governance of crypto networks as an investor. They will be hosting several speakers actively investing in this space who will share their thoughts and own practices on the topic above. Find more info about the event here. The event has a limited capacity. Please request your invitation using this form. The address of the venue will be sent to you if your request is successful. The event will be live-streamed and recorded. Creating tokenized ecosystems for blockchain is one of the most interesting challenges of our time. How do we figure out what we want? How do we manifest that intent with block rewards and other crypto building blocks? How do we update the protocols? Given that these systems are wildly powerful, how can we better take responsibility for their design and deployment? We'd love to see token ecosystem design become an engineering discipline: Token Engineering (TE). This implies a body of theory and practice and expertise from many different fields. Token Engineering Meetup Berlin aims to drive exchange between these domains. Since starting in May 2018 more than 700 members registered to our meetup group from all around the globe. We are offering monthly workshops and lectures and collaborate with e.g. Ocean Protocol, Full Node, and AraCon! More info about the event and registration here. Parity Technologies is running a meetup on building a smart contract with Parity Substrate through Web Assembly. There will also be presentations from our invited guest speakers from Polkasource and Chainsafe. We will also host an open mic for anyone who wants to present any projects they have been working on with Parity Substrate. We look forward to hearing what you have been up to. Doors open at 19:00 and presentations begin at 19:30. We’ll have pizza and drinks, time for questions, discussion, and networking. For more information and RSVP go here. 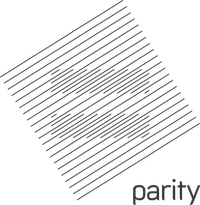 Parity will also host a 5-hour workshop on Monday, January 28th from 1 pm to 6 pm, showing how to build your own blockchains with Substrate. This is a developer-only workshop, so programming knowledge is a must! For more information go here. Seminarschiff. Alt-Moabit 91, 10559 Berlin, Germany 10245. Witnet is a decentralized oracle network that connects smart contracts to the outer world. Join Witnet team on a CO2 neutral "solar ship" for drinks and music to celebrate the anticipated launch of their Decentralized Oracle Network testnet. We have limited space, so be sure to RSVP here. GörliCon is the ETHBerlin Alumni Conference. The one-day event will have a tech-track and a non-tech-track, workshops and some surprises, covering mainly Ethereum projects and the proposed Görli testnet.